When athletes succeed in high-pressure situations, you’ll inevitably hear people say they have “ice in their veins.” Conversely, athletes who fail in these same situations might be labeled “choke artists.” The difference between the former and the latter is self-confidence. For athletes, having a high level of self-confidence is as important as the physical skill set needed to perform their sport. We as coaches understand the importance of having our players perform with confidence. The question is, how do we get them to do it? 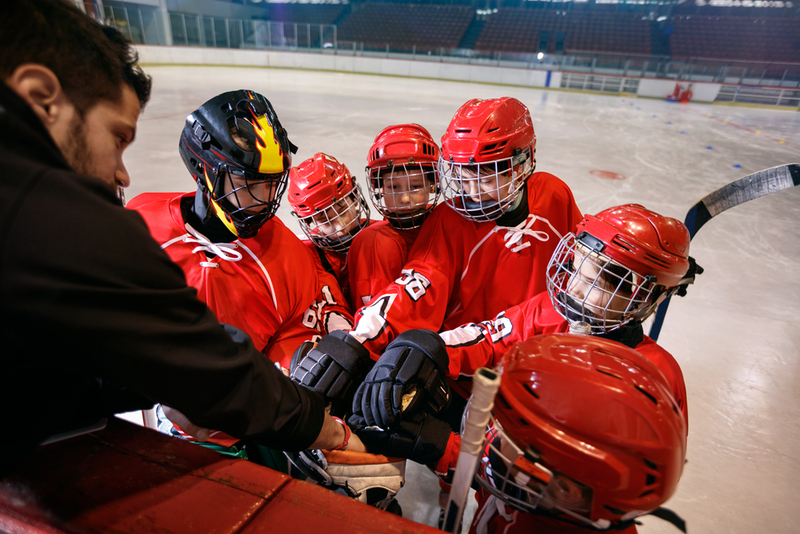 Some steps outlined by leading sport psychologists include the importance of calling on past success, employing positive self-talk, remaining positive and modeling behaviors of higher-performing athletes. Of all these different strategies, the one I have found most effective is reminding my athletes of their past successes. Throughout a softball season, I spend a lot of time talking with players about the work they’ve put in and the successes they’ve had. I ask them to tell me about their successes in school, at home and on the field. This reminds them that they have had successes, both on and off the field. Which is important because we humans, by nature, remember our failures more vividly than our successes. Recalling a specific big hit or a great defensive play in a big situation is especially effective. This brings me back to the title of this post: “The Importance of Self-Confidence and Self-Efficacy.” While these terms are commonly thought to be interchangeable, they’re quite different. Self-confidence is an overarching view of one’s own aptitude, while self-efficacy is situationally dependent. Many sport psychologists consider self-confidence to be a personality trait; one that can—and often does—adjust over time. The major benefit of an increased state of self-confidence is the ability to overtake negative emotion and anxiety. This can be applied in all facets of life. Self-efficacy differs in that it is a concept that can be measured on many different levels. While self-confidence is the broad stroke of the paint brush, self-efficacy is the fine-tipped pen. Self-confidence is a deeper part of one’s personality; it remains constant over time and shows a slower, more gradual change. Self-efficacy changes much more quickly and can do so from one simple task to another. It’s assigned based on the confidence an athlete has in the immediate skill he or she performs. Coaches and parents, make sure you understand the difference and support them both. It can be a big deal for your young athletes! Morgan Sullivan has been married for over 14 years to his amazing wife and has four wonderful children. He has coached baseball, softball, football and boys’ and girls’ basketball from the junior high level down to three-year-old developmental leagues. Coaching youth is his passion and his efforts are set to improve the state of youth coaching and being a youth sports parent. You can find more info at his website, coachmorgansullivan.com.